Prashant hasn't added any details yet. 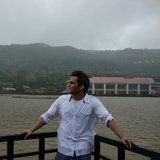 Join HackerEarth and view Prashant Pandey's full profile. It's absolutely free! Postgresql static analyzer tool in python to enhance the database performance and its integration with the hardware its deployed on. Certified Java trainee and learnt Struts spring Framework and worked on their project "Industrial management system"
Made a static analyzer tool for postgresql to enhance its integration with the hardware its working on. Worked on industrial management system in core and advance java with HCL infosystem. Wanted to make my game just to learn using andengine (Android 2d game engine). Made a full fledge music player in android which plays music from the local sd cards and also added soundcloud functionalities with the help of its API to search and play music from soundcloud. trying to emulate "streamus" chrome extension with android which helps to stream youtube (only audio) and we can even multitask in android when streaming the audio of youtube (on the fly ,not downloding and then playing) which is not possible with present any android app.